Last Thursday at preschool, during chapel time we sang a few songs with the music minister of the church in which I work at. He was singing child friendly Christmas songs that the kids would know, and Rudolf The Red Nose Reindeer was one of them. Now, let me tell you..God began to work in my Spirit and used this song to teach me something about His love, favor, and blessings. He also used it to teach me about pushing through testing, trials and persecution. Yep. See, Rudolf faced a lot of persecution for his "gift" that God created in him. That "shiny red nose that glows" wasn't a mistake, a fluke, or an error. God doesn't make mistakes! 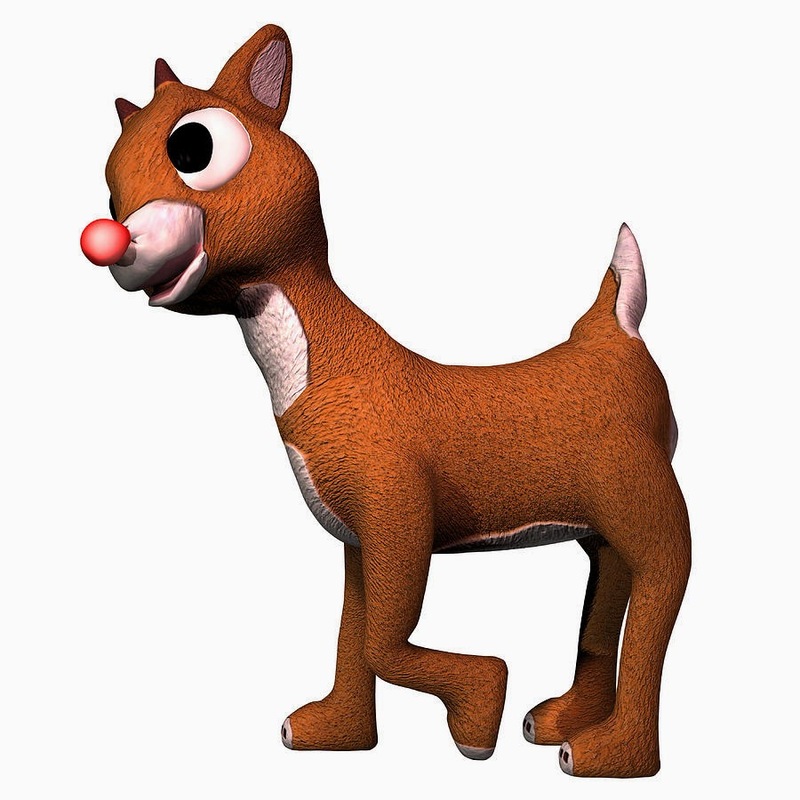 Rudolf LOOKED different for a purpose. Even if it was just recognized in a time of desperation. Before it was recognized though he faced lots of name calling, rumors, false testimony. He was made to feel like an outcast. BUT...... when "Santa" needed him and praised him, all of a sudden he became not only accepted, but liked and wanted by the others. How many times are those with a gift from God, are persecuted for being "different" or having "different" ideas/agendas/thoughts/ways of living that were obviously lined up by God Almighty himself yet wasn't accepted by peers or even family? UNTIL.... they are used by God in a time of desperation (for whatever/however that may be).... then they are accepted and wanted. Perhaps the gift is a kind word of encouragement. Perhaps the gift is the way they handle a crisis. Perhaps the gift is the simple way of just trusting that God will make it all work out. Perhaps the gift is just what YOU need, but before you realized it you would have thrown that person to the wolves. Yet when God's favor is on them, it becomes something that is not ONLY accepted but desired. That Rudolf! He was used by God to help Santa and to teach about God's favor on those who push through and not give in to peer pressure but instead face persecution with grace, peace and kindness. AMAZING!